Be a stylin' Santa or a chic Mrs. Claus! 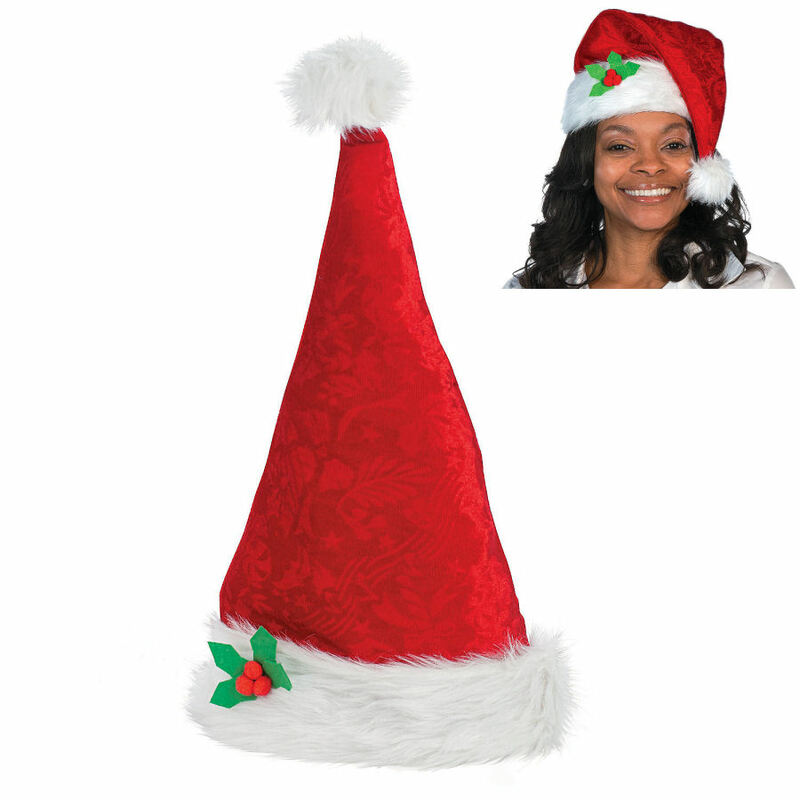 This jolly Santa hat is a holiday must for Christmas parties or to simply add some extra cheer to your holiday wardrobe! Wear it to the office or add some festive cheer to your night out on the town. Subtle holiday designs are imprinted in the fabric of the hat. Each hat has a soft lining for comfort and measures about 21" around the base (the part that fits your head).